For the first time, instead of braving the 2-day bus from Kigali, Rwanda through Tanzania I decided to head into Uganda; a country I highly praise but have never fully explored. I’ve been to Kampala and walked its city streets, been to Jinja and ragged the Nile but that had been it. So I booked a ticket for Kabale. 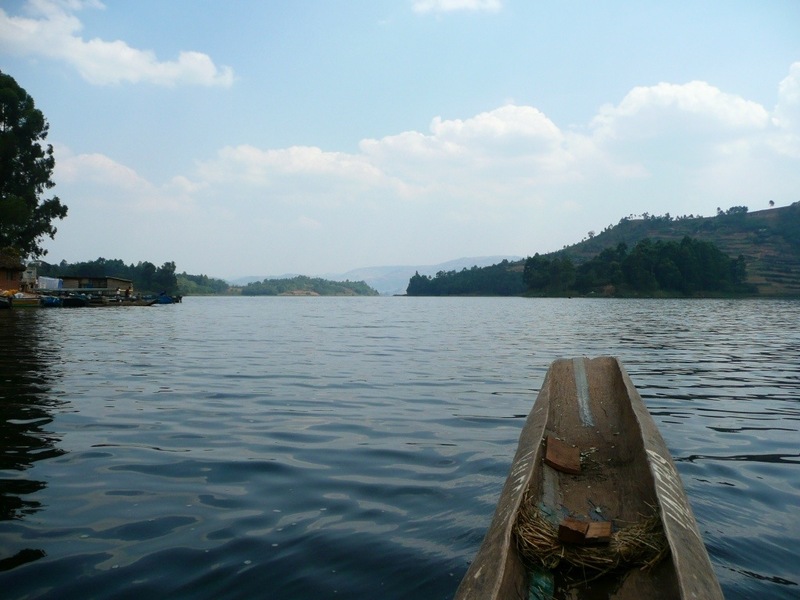 At first glance is appears as just a small town surrounded by a mass of hills but a 10-minute Boda ride reveals a large lake filled with close to 30 pocket islands, crevices and beautiful open water. 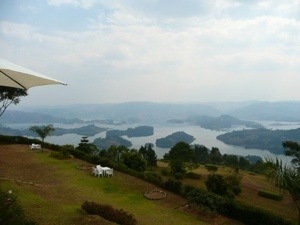 This is Lake Bunyoni, best traversed by a dugout wooden canoe. You can stay in a small tent next to the water, or in a cottage high on the hill overlooking the lake. Not only is this place remarkably beautiful, but it’s actually clean enough to swim in! Although the surrounding area contains a large backpackers hostel I decided to try a small campsite called ‘Kalebas Camp’ instead. The attraction comes from the complete private atmosphere and is topped by the lodging. 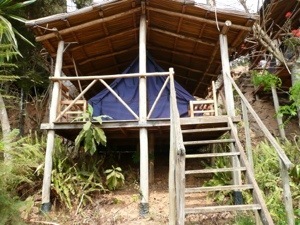 Although simple, the lodging consists of small tents built up on stilts and enclosed in a thatched roof and offers unhindered views of the lake and gardens. My first order of business was to secure my own dugout canoe for a few days in hopes of paddling around on my own and checking out some of the island lodges. The canoe is one solid piece of wood, simply a large tree that has been hollowed out running about 16ft long and 3ft wide. The seat rests at the very back and when you are solo paddling the front end sits high is the air and you create a steady balance between paddling and bailing out the incoming water! Although its quite a different feel from anything I’ve every paddled, it’s stale and it floats! After a quick test run I became confident that loading it with my backpack and anything of value will not be a mistake. Well, I’m currently sitting about 2km above the lake, high on a hill overlooking the 30 something islands, enjoying the warm sun, a cold brew, and spectacular views. I will certainly miss this place.